Did you know that DMAC has implemented multiple dashboards to help users access data quickly in different applications? Teachers have instant access to reports on local assessments created for their classes. 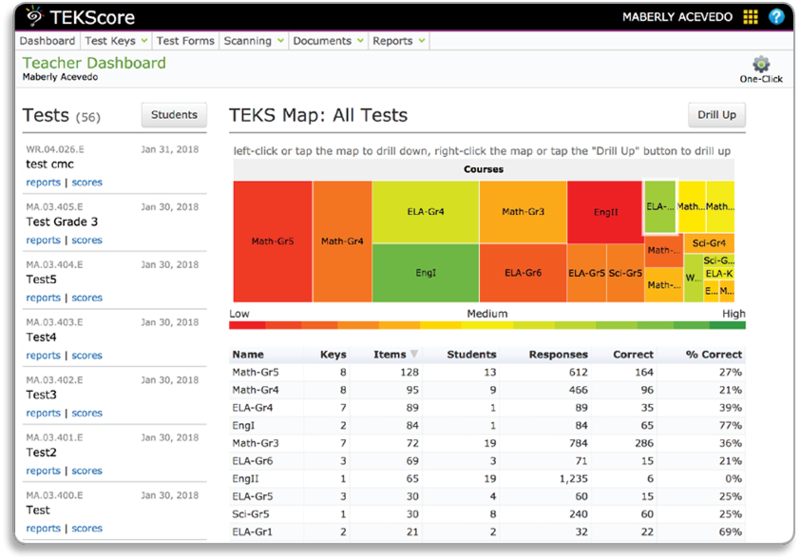 The Teacher Dashboards allow you to see data by test, individual student or overall TEKS performance. Take advantage of the one-click icon on the top right to establish the settings for your favorite reports. Simply click on the reports link under a test name on the left column to generate your one-click reports for any test. 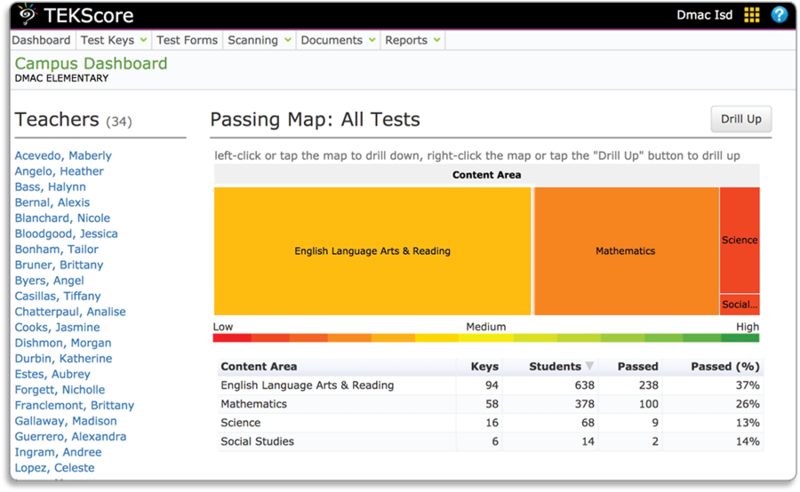 District and Campus users can view Dashboards showing passing maps for the entire district, campus or teacher. Access to data is based on your user role. The LPAC Dashboard categorizes groups of students based on your current documentation. Narrow your search by Campus and/or Grade and select totals within the various categories. View individual students’ names in lists containing subgroups such as Language Learners, Parent Approvals, ESL students and more. Two dashboards are available in State Assessment. Drilldown by campus, demographic, subject or curriculum using the Academic Performance dashboard or access reports at the district or campus level for Index 1, 2, 3 or 4 in the State Indicators dashboard.